The seven provinces that don't offer government incentives for EVs are not part of GM's initial marketing rollout, indicating just how crucial incentives are. With a gross profit margin of about $3,000 per Chevrolet Bolt, dealerships won’t have much leeway for deal making on the first mass-produced “affordable” all-electric car. Brand Manager Shane Peever says the Bolt ($42,795 base price) will sell on its merits as a functional, high-tech vehicle, but even Transport Canada says tax incentives are crucial to its sales success. Through all of 2015 and the first three-quarters of 2016, exactly 69 battery-electric vehicles were sold outside of the subsidizing provinces of B.C., Ontario and Quebec (which sold 4,484 combined), according to GM. Peever says GM is open to working with all provinces to boost EV sales but nothing is currently in the works. Government subsidies can be worth up to $14,000 in Ontario on a 2017 Bolt, while EV incentives top out at $11,000 in B.C. and $8,000 in Quebec. Several of the seven provinces not offering incentives were contacted by Automotive News Canada and none indicated that EV subsidies were in the immediate pipeline. Without cash rebates and tax incentives, however, Canadians are unlikely to be persuaded to buy electric cars as part of an overall federal-government strategy to cut greenhouse-gas emissions, according to a 2016 federal report to Transport Minister Marc Garneau. “Evidence suggests incentives are the primary reason for existing sales of EVs,” Transport Canada’s policy group said in internal comments on the report’s recommendations reported by Canadian Press. With provincial incentives, an Ontario customer can have a Bolt for $30,406, but GM Canada is not sweetening the deal beyond a 2.49 per cent finance incentive (up to 84 months) or 3.9 per cent lease rate (up to 60 months). Retailers will not have much dealmaking room, either; the gross margin on a Bolt is about $3,000, according to www.CarCostCanada.com. 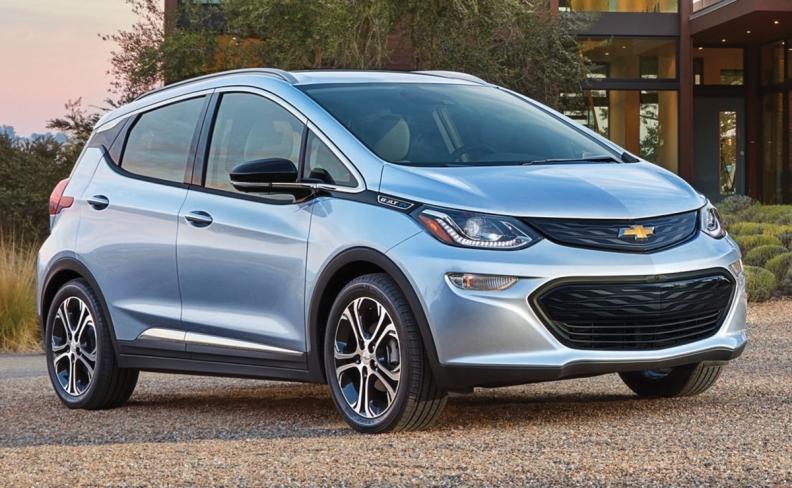 Still, 211 of GM Canada’s 427 Chevy dealers have signed up to sell the Bolt, which requires a floor-plan commitment, training and installing a fast-charge station: 195 of them are in B.C., Ontario and Quebec, where 98 per cent of all plug-in sales occur. GM Canada expects 2017 sales of the Bolt to equal 2016 sales of the Volt plug-in hybrid, which is about 3,500. Nissan Canada says that EV sales are not solely dependent on government incentives. Canadians have bought nearly 4,600 Nissan Leaf EVs since 2011. Bolt will help advance the electric-vehicle cause. “More EV competition equals more EV awareness,” he says. Peever said GM Canada will limit the Bolt launch primarily to social media, a series of driving events in select markets and a small general-media campaign. The federal government has no provision in the current budget to offer EV subsidies, though it did set aside $62.5 million for Natural Resources Canada to help businesses install workplace chargers for EVs as well as natural-gas and hydrogen fueling stations.